Well, here we are. 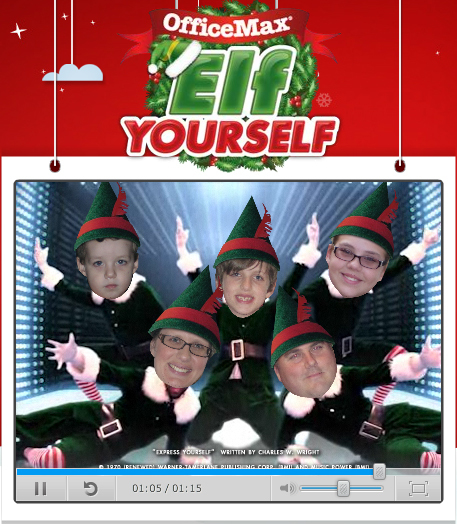 I’m ready to show you week 2 of our elfcapades. Just look what he’s up to now. Mr. 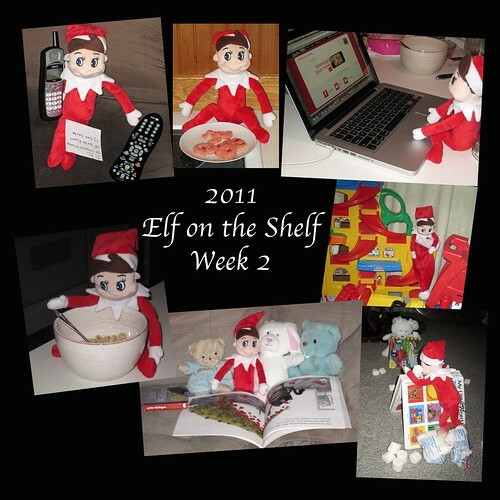 Fuzzy, our elf, has been making himself at home. He’s used our phone to call Santa (an item on his To Do list) while watching TV, ate some of my homemade cookies (before I could dunk them in white chocolate), he went to a website and Elf-ed the family, helped himself to some cereal, used our Santa hat to slide down the wheelie ramp, read a Christmas book to the other stuffies, and had a snowball fight with the Easter Bunny! There’s just no limit to the mischief, is there? I know. I owe you another week. So, on Monday I’ll post the last days of Mr. Fuzzy’s visit. The kids are getting sad that Mr. Fuzzy will go home to the North Pole when Santa visits.